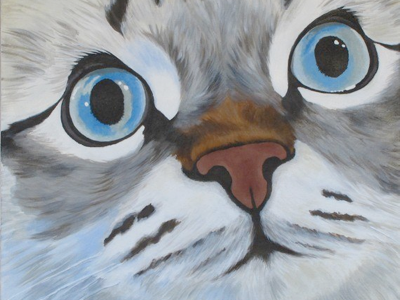 Gracie is one of our kittens from Litter E. Her owner, Olivia, did a beautiful painting of her. What a great job capturing her sweet innocence. Thank you for sharing this! You can visit Olivia’s site on Etsy.